The Research at Cloud Monash (R@CMon) is accessible computing infrastructure made right for peak research initiatives and the needs of research at large. It is a unified, sofware-defined, self-service Infrastructure as a Service (IaaS) of computing resources that range from commodity to high performance configurations of compute, networks and storage. It forms part of Monash University’s agenda for World Class research infrastructure, is led through the Monash eResearch Centre (MeRC) and is delivered through a partnership between MeRC and the University’s IT function – eSolutions. This blend of scale and performance, user-driven and low-latency has driven many technology innovations now being commercialised by our partners. Most significantly – it is the very fabric that enables researchers to create and proliferate their very own 21st century equivalent of the humble microscope, with minimal need for ICT support. 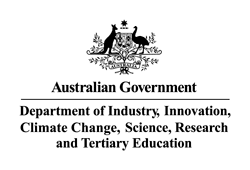 R@CMon was initiated by the National e-Collaboration Tools and Resources Research Cloud (NeCTAR) project funded through the Australian Government’s Super Science initiative, along with a significant strategic initiative within Monash University. The NeCTAR tenancy of R@CMon forms part of the Australian Research Cloud. R@CMon has been expanded to include significant storage through the Research Data Storage Initiative (RDSI, now transitioned to RDS) Super Science initiative. It has since been expanded with the addition of many new tenants from Monash and beyond. Access to R@CMon and the Research Cloud is available to all Australian public-researchers, including for the purposes of industry engagement. Resource allocation to the R@CMon and the Research Cloud is available through NeCTAR and RDS allocation schemes and the institutional tenancies.